An addition to our new store format is the Market’s Café. When you walk in our main entrance, you will be met with the smell of freshly brewed coffee and homemade popcorn. 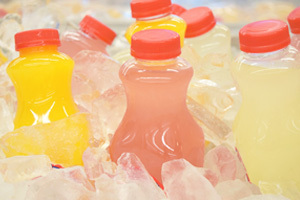 We also squeeze fresh orange juice daily! The Café offers an extensive variety of coffees, teas, lattes, smoothies, and more. Along with the selection of refreshments, the Café offers bagels, muffins, and doughnuts made fresh daily in our Bakery. 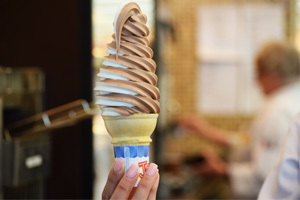 Whether you are warming up in the winter with a cup of steaming hot chocolate or cooling down in the summer with a soft-serve ice cream cone, the Café has something for everyone, all year long. Each Market’s Café is complete with a comfortable seating area, complimentary Wi-Fi, and mounted televisions. So, grab a snack and coffee, kick back, relax, and enjoy the Market Basket atmosphere.